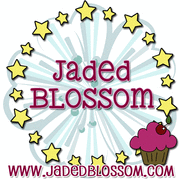 Jaded Blossom: Guest Designer, Diana! oh my goodness this is awesome! love love love it! I LOVE this!! What a super adorable project!!! love this idea. this would be great as a surprise party pack also. very very cute! This is so adorable!!! I would love to go to a party and get these!! Super Cute love this Idea. this would be perfect everyone would get one. thanks for sharing. Yay... a New Year's project. Excellent colors too. How fun. OMG...I LOVE it! What a great gift idea! What a cute little party box. Thanks for sharing. SUPER CUTE! I love all the details on the penguin! Love your project! Super cute idea! Your project looks amazing!! Happy New Year to you as well. TFS and thank you for being a guest designer. Very cute idea. Lovely packaging too. This is so cute! I love how the penguin is decorated to match the poppers! Cute party favor box! Your penguin is adorable! Cute project! The more I see those boxes in use, the more I want them! Diana!! This is SOOO cute!! I need to scrap lift your idea!!! So cute--love the top hat, cane and bow tie on the penguin. Super Cute. Love the little Penguin. Diana this is cute. The penguin is ready to party! Great job, TFS! Love it! Anyone would love to have this to help them ring in the new year! ;) Thanks for sharing! How adorable! Great idea for NY eve party! This is just adorable! Nice job! What a fantastic project!!!! I love this complete with poppers and all!!! This is a perfect little New Year gift for someone! Love the little penguin and his little top hat!! Such a great idea for any NYE party! o super cute, Happy New Year! This is so cute! I'm gonna have to make these for next year. Thanks for the inspiration. This is a great project. what a perfect idea for party favors. Thanks for sharing! super cute. wish i had some for tonight! I just adore this, it's the cutest! Sweet little penguin is ready to party! This is a very cute and useful idea. Thanks for the inspiration.